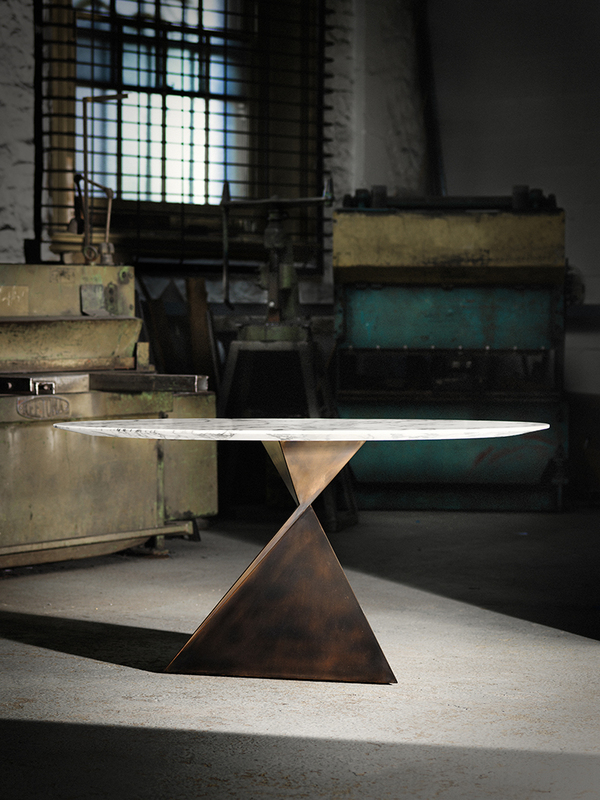 Fellow Decorex exhibitor Tom Faulkner and his sculptural furniture caught the eye of the skinflint team at the show this September, so we simply had to find out more about Tom’s inspiration, design heroes and passion for using metal. Read on to find out more about why Isambard Kingdom Brunel is a large part of Tom’s life and how buildings as diverse as Paddington Station and The Chichu Art Museum in Japan are among the furniture designers’ favourites. skinflint: Tell us how Tom Faulkner started. Why furniture design? TF: I started the business from scratch in 1995. It started with my love of making things and my reluctance to get a “proper job”. I started by designing and painting distinctive and colourful patterns onto tabletops. I became more and more interested in the patterns and the colours in general - and furniture seemed like a great place to put them. But then slowly I began to get more interested in what was going on under the tables rather than the tops. My desire to make things, and the realisation that other people were willing to pay for them meant my passion could become a business. It has grown slowly and organically since then. The first pieces of furniture, I made on my kitchen table. We now have a showroom in Chelsea, London and a great workshop in Swindon Wilts, where everything is made. Two of the guys in Swindon have worked for me for 20 years. My specialisation is in metalwork and we make tables, chairs, mirrors, lights, and accessories, mostly using steel and bronze. My team and I design everything we make, and everything is made to order. 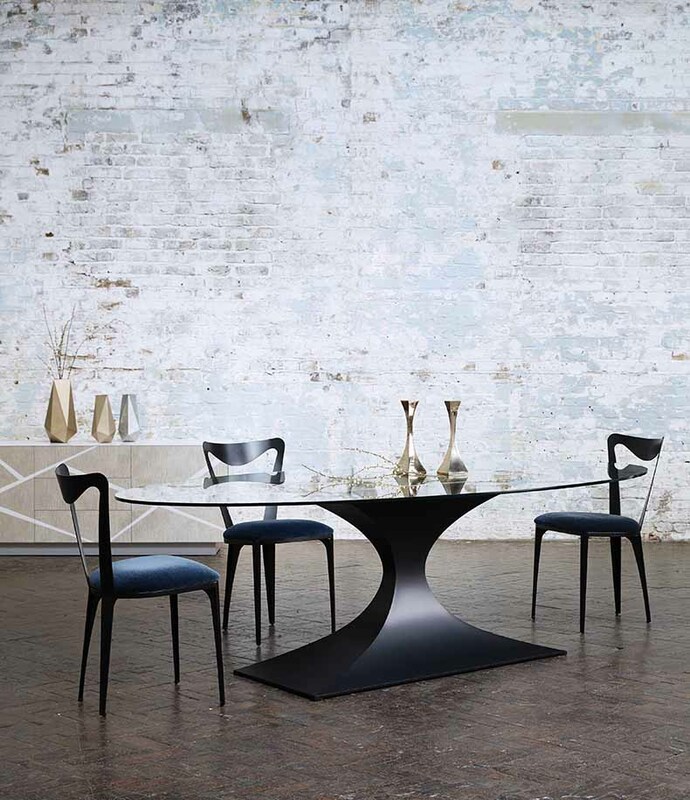 skinflint: Your furniture has a very distinctive style. How do trends affect what you decide to include in the collection? 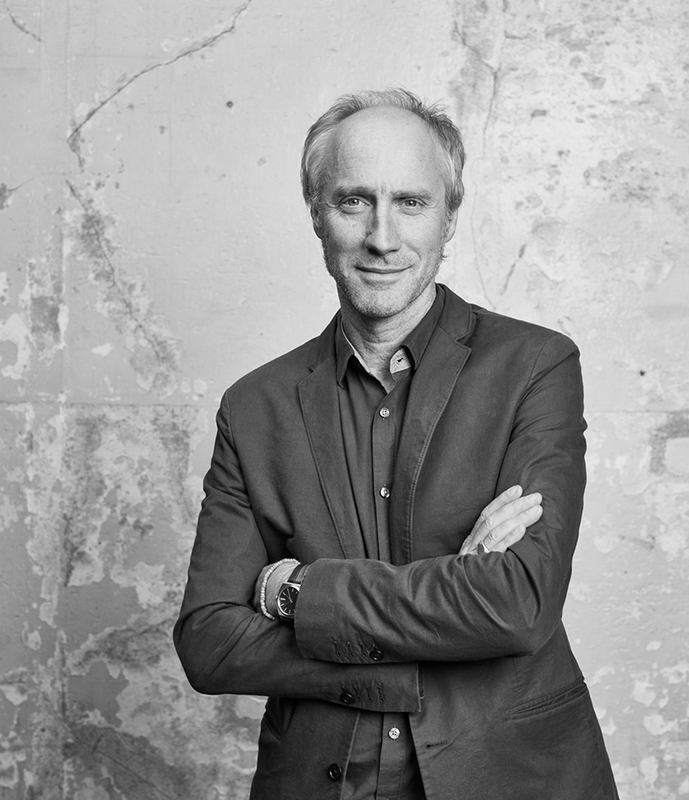 TF: I think we are all influenced to some extent by trends – for example we all broadly dress in the fashion of the age, and it’s the same with furniture. I am influenced by what I see around me, but I try to keep everything simple, and without unnecessary adornment. Lines and proportion should speak for themselves. I often think of what the architect Philip Johnson said when asked about what he tried to do. “Create beautiful things – that’s all”. skinflint: Where do you find your inspiration? TF: Everywhere – buildings, nature, fashion. Things catch my eye. 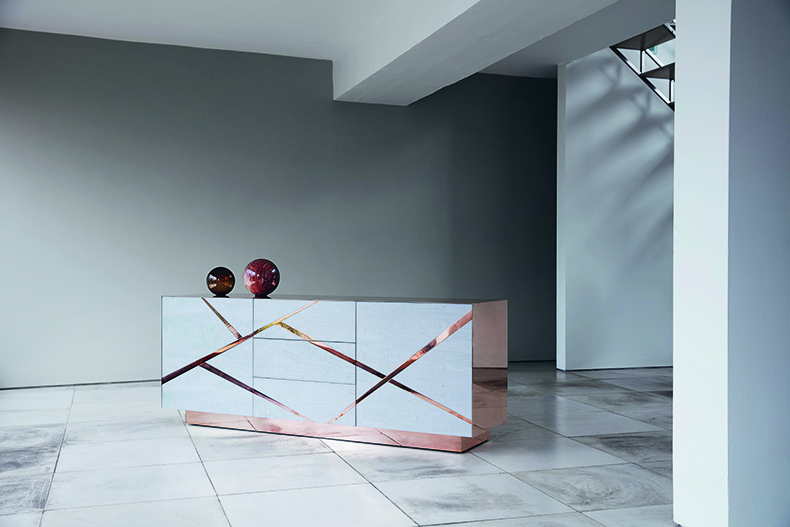 The kernel of the idea for our “award winning” Odessa cabinet was the treads of the steps in Zara, High Street Kensington. I took a photo of them, and they left an impression – in terms of colour, material, and line! skinflint: Are your designs influenced by any particular era? TF: If anything, I want to be a Modernist and I love the design ethos of those 20th century Modernists – Prouvé, Mies van der Rohe etc. I also love Art Deco in terms of the way they built buildings and furniture in the same style. But really, a lot of what I do has very classical lines, which I think is why they fit into both classic and contemporary interiors. skinflint: You work with so many materials, which is your favourite to work with and why? TF: Metal is my material, mainly steel, but increasingly bronze and brass. Combined with glass, marble, and now concrete. But I want to do so much more. So watch this space. My favourite is bronze because it is intrinsically so beautiful, variable, and valuable. But I have a lot of gold in my mind at the moment. You cannot beat the glow of gold! skinflint: Your workshops are in what was once part of Isambard Kingdom Brunel’s workshops, does the history of the building inspire your design work? skinflint: Who or what has been the biggest influence on your work? TF: That is difficult to answer. As for who, there is no one person, there have been many people who have inspired me in different ways. And as for what, I would say apart from architecture & travel, I am also influenced lot by actual “process”. A lot of what I have made has come from discovering a new process – like water cutting plate steel. 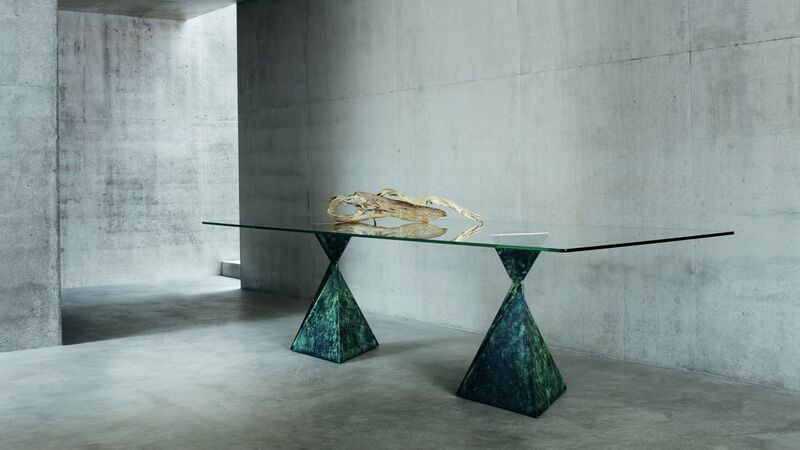 skinflint: Any emerging talent in the furniture design world we should be looking out for? skinflint: If you could have designed an iconic piece (e.g. the Eames lounger etc) which would it be and why? 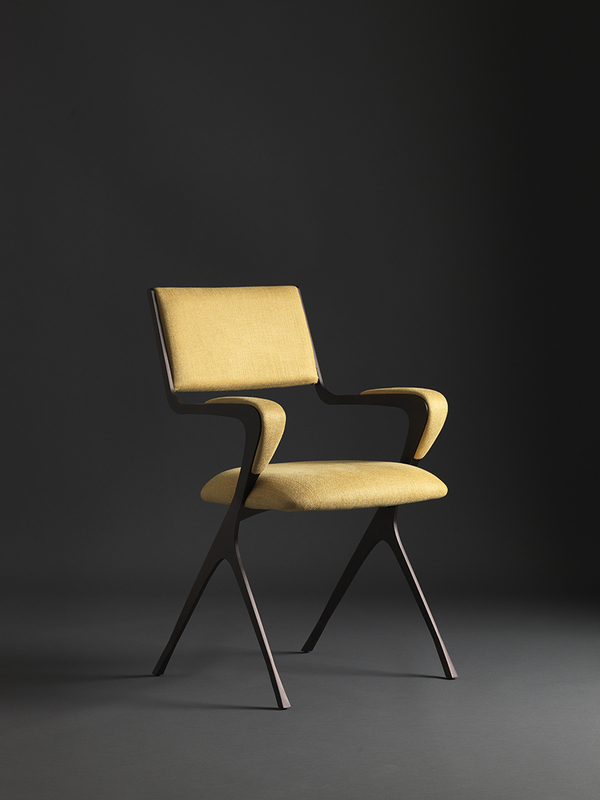 TF: The Brno chair that Mies van der Rohe designed for the Tugendhat family at Brno, Czechoslovakia. A toss up between that and the cantilever MR chair that he also designed. The cantilevered chair already existed but Mies made it BEAUTIFUL! skinflint: Your pieces seem quite architectural in their structure and balance, do you have a favourite piece of architecture - which is it and why that one? TF: Paddington Station is a definite favorite and I was lucky enough to visit the island of Naoshima last year, in Japan. The work of Tadao Ando there is simply stunning. The Chichu Art Museum in particular – walking into the the Walter De Maria building will give you goosebumps – like walking into the Duomo in Milan or Chartres, a cathedral experience. skinflint: What’s next for Tom Faulkner? TF: Gold, and more sculpture. 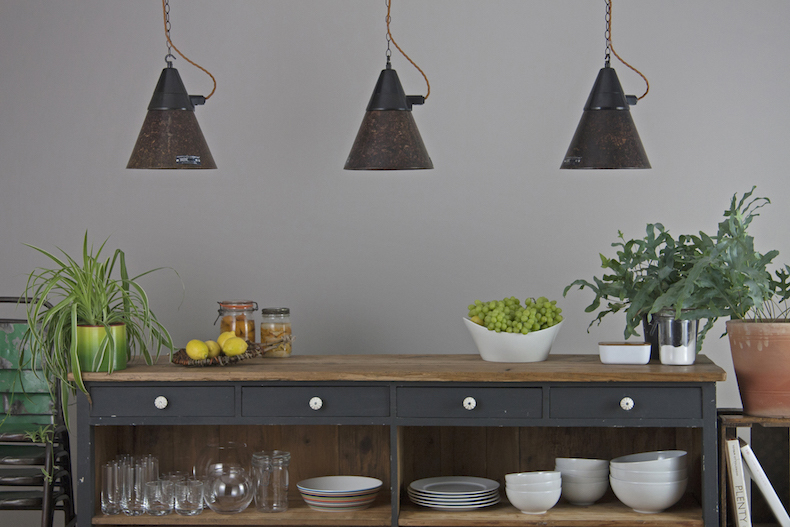 Finally, please choose your three favourite skinflint lights from the current selection on the website and tell why you have chosen them. 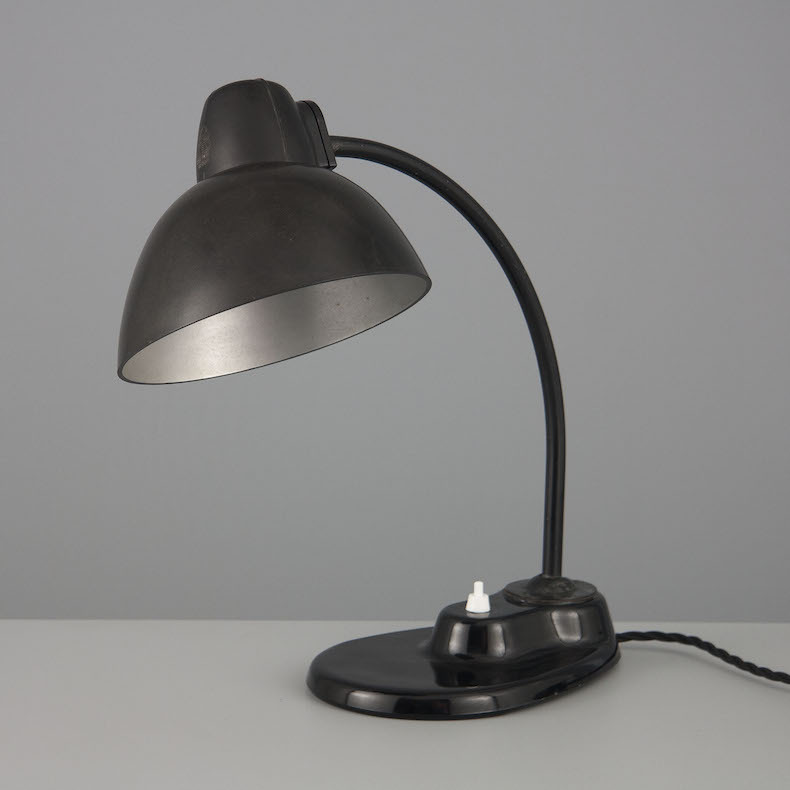 Original desk lamp by Kandem – very beautiful, very simple, very functional, almost sensual. A classic. 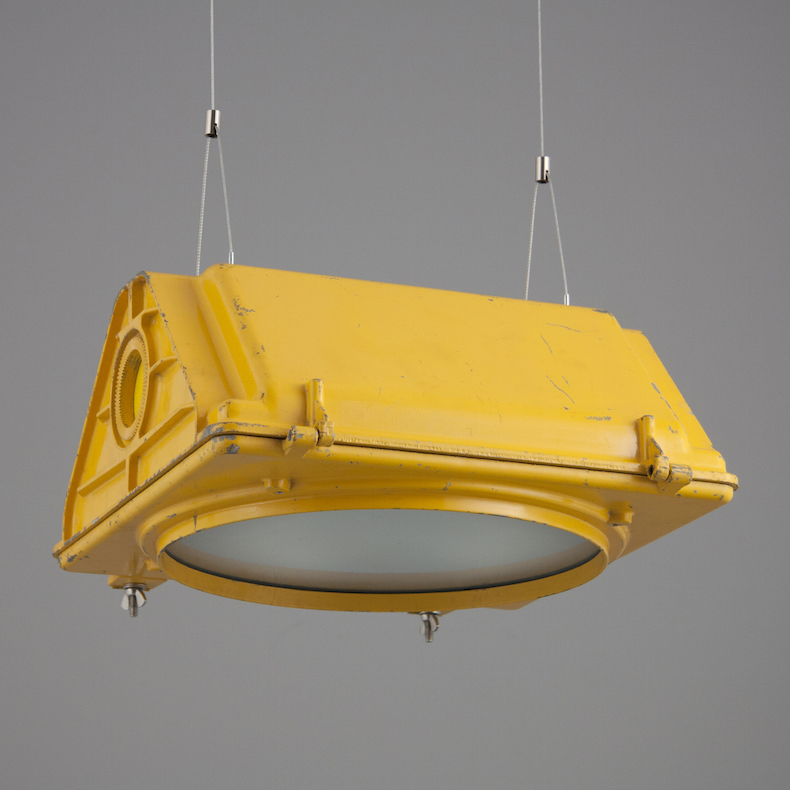 Salvaged Eastern Bloc Light. Love the conical shape – unusual, and the patina on the metal is beautiful. US Traffic Light – I love the use of yellow in the US. The light is cool and and I like the re-purposing of a traffic light. Playful and serious at the same time.